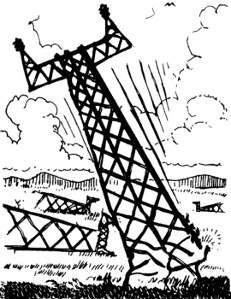 Several times on this blog we’ve featured the work of Native Hawaiian journalist and filmmaker Anne Keala Kelly, including interviews for Resistance Radio (audio) and for the DGR News Service. Kelly is a strong voice for a radical approach to Hawaiian reclamation of their culture, bringing forth core issues of occupation, cultural appropriation, and sovereignty. The future of Hawai’i is closely linked to the ability of the US to maintain its imperial power across the planet, so what may seem a small and remote fight is actually of great importance to global problems of ecocide and oppression. Kelly is presently working on a documentary, “Why the Mountain”, examining the Mauna Kea TMT resistance and its part in revitalizing a broader Hawaiian struggle for justice and independence. Her indigenous and radical perspectives, in conjunction with her experience making Noho Hewa, should result in a valuable film for furthering discussion and action at home and abroad. But Kelly needs financial support to complete her work, so DGR is holding a fundraiser. All proceeds will go towards purchasing a new camera so Kelly can most effectively produce this film. Update: This fundraiser has concluded. Thanks for your support! This entry was posted in Building Alternatives and tagged Anne Keala Kelly on August 15, 2015 by Norris Thomlinson. 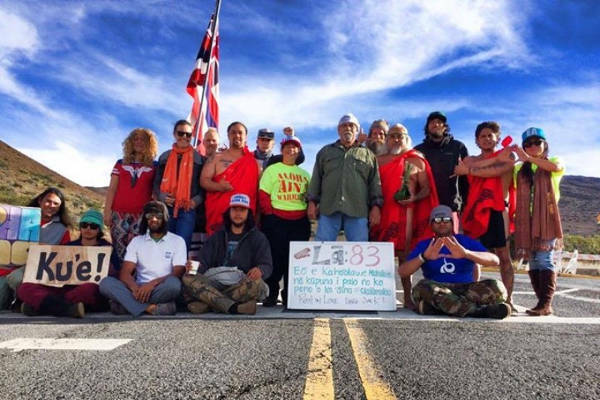 We’ve reported in the past on efforts to block construction of the massive Thirty Meter Telescope on Mauna Kea, due to environmental and cultural concerns. 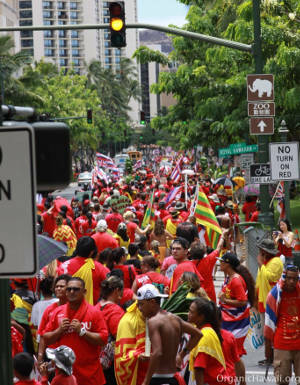 Unfortunately, construction has begun, but with it, so have protests on Mauna Kea and around the world in solidarity. The film is no longer available on Vimeo, but if know someone who has it, please take some time to watch Noho Hewa, then donate to make the new documentary possible: Why the Mountain. With your support, the film will help build resistance around the world to the continued illegal occupation of Hawai’i and the desecration of places sacred to Hawaiians. This entry was posted in Building Alternatives and tagged Anne Keala Kelly, Mauna Kea, TMT on April 16, 2015 by Norris Thomlinson. 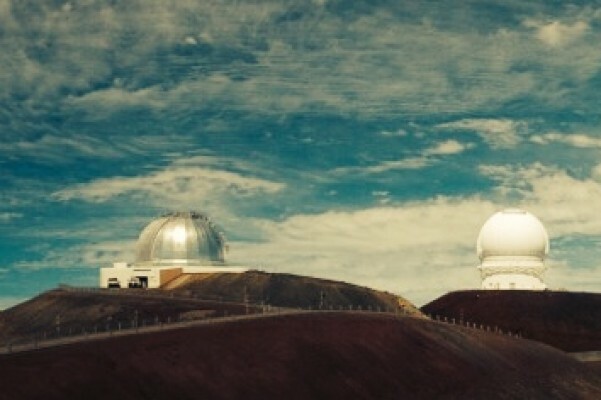 Mauna Kea is under threat by planned construction of the Thirty Meter Telescope. Though Hawaiians and non-Hawaiian allies successfully disrupted the TMT groundbreaking ceremony, the fight isn’t over yet. The award-winning Hawaiian filmmakers Anne Keala Kelly and Mary Alice Kaʻiulani Milham are teaming up to create a documentary in protection of Mauna Kea. They are holding a fundraiser to allow production and mass distribution of a film to galvanize opposition to the destructive and desecrating TMT project. Time is short to stop this industrial expansion, and your contribution is crucial – whether a direct monetary donation or helping by spreading the word. Our goal is to produce a beautiful, powerful and evocative film to help people everywhere understand why Mauna Kea is sacred to Hawaiians, a fragile ecosystem that needs protection, and portrayed as indispensable to the astronomy industry. 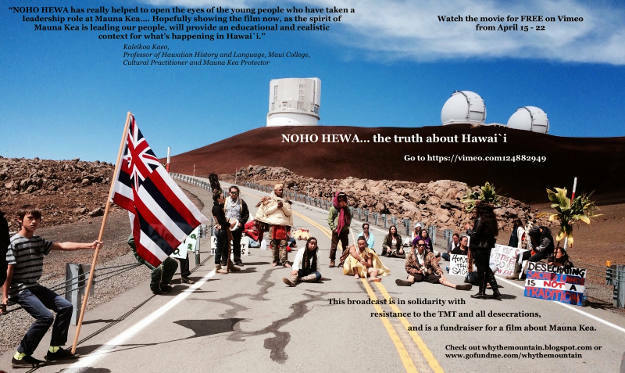 “Why The Mountain” will be a 30-minute documentary film that explores why Hawaiians and environmentalists oppose the Thirty-Meter Telescope (TMT), and why the astronomy industry is determined to construct this 18 ½ – story building on Mauna Kea. Environmentalists argue that because the largest fresh water aquifer for Hawaiʻi Island is on Mauna Kea, the potential for irreversible harm is too high a price to pay. They say erecting a football-stadium-sized structure, and its accompanying 5,000-gallon container for hazardous chemical waste, is an unnecessary risk. 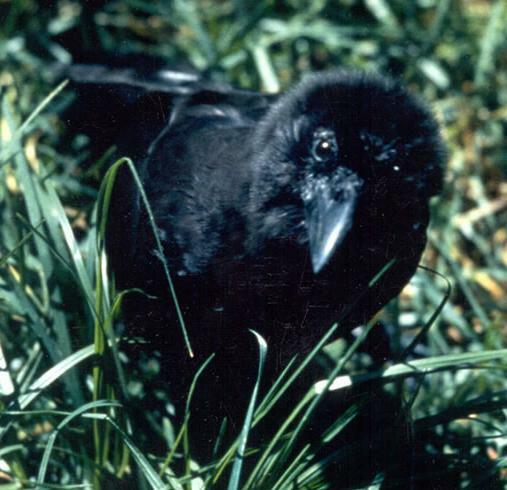 Given the toxic chemicals in use by the existing 13 telescopes on the summit, the TMT only increases the threat to the watershed and endangered and threatened species’ habitats. Follow the progress of the film project at the Why the Mountain? Facebook page. This entry was posted in Building Alternatives and tagged Anne Keala Kelly, Mauna Kea, TMT on January 6, 2015 by Norris Thomlinson.